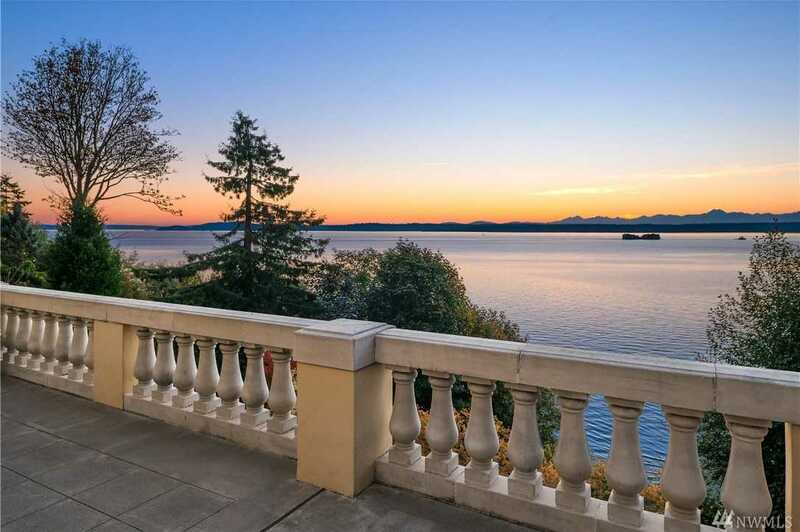 An exquisite waterfront estate, Perkins Manor is a superb example of excellent design and elevated living that captures the most dramatic views in the city. Multi-million dollar renovation brought ultraluxe finishes: gold leaf ceilings, Venetian plaster, fixtures curated from around the globe and an opulent master suite. The main floor was designed for large scale entertaining with endless vistas while the whiskey bar invites more intimate gatherings. 150′ of private saltwater beach to explore. Directions: From Magnolia Bridge: Left on Howe. Left on Magnolia Blvd. Left on W Ray. Right on Perkins Lane.